No show is safe in the brand new season of Gogglebox which takes the audience into the lounge rooms of some of Australia's most opinionated, outspoken, funny and avid TV viewers. Gogglebox was broadcast on Ten at Thursday 11 April 2019, 22:34. Gogglebox Australia is the Australian version of the hugely popular British television show with the same name. Sometimes referred to as a fly-on-the-wall show, the concept of the show, simply put, is "watching people watch TV". 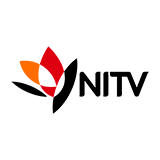 Every week cameras are installed in the homes of ten normal Australian households and the viewers can watch the reactions of the participants as they watch sports games, movies or whatever else is on TV. 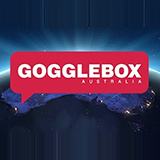 ?Gogglebox quietly but steadily gained a loyal following in Australia. What's more, some of the participants, like gay couple Tom and Wayne or housemates Angie and Yvie who live together with a bunch of dogs, have slowly become household names.